We’ve touched on the subject of sleeves which borrow (or steal) from Deep Purple before. This whole area of fun and games is now the subject of a book devoted to sleeves which lean on the past for inspiration, and thanks to Easy On The Eye Books, we can look at some here. The subject is the classic live album Made In Japan from 1972. The original cover idea belongs to Roger Glover, who – having spent time at art school – was interested in this side of the industry (his sketches for the Fireball sleeve survive, I don’t know if the MIJ ones have). Although it was known the August Japanese shows were to be recorded, initially this was seen as a Japan only release, so nobody went to the expense of flying a photographer over to cover the shows. 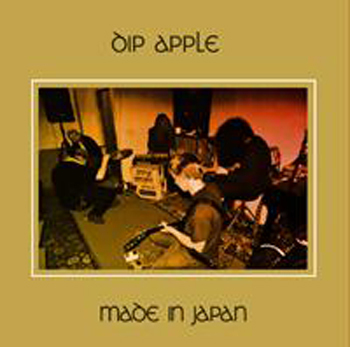 Warner in Japan did think ahead and have someone take photographs, but for some reason these images were not requested for the EMI edition when this got the go ahead. Instead they turned to Fin Costello, who had a stock of images taken in London earlier in 1972 at the Rainbow Theatre. 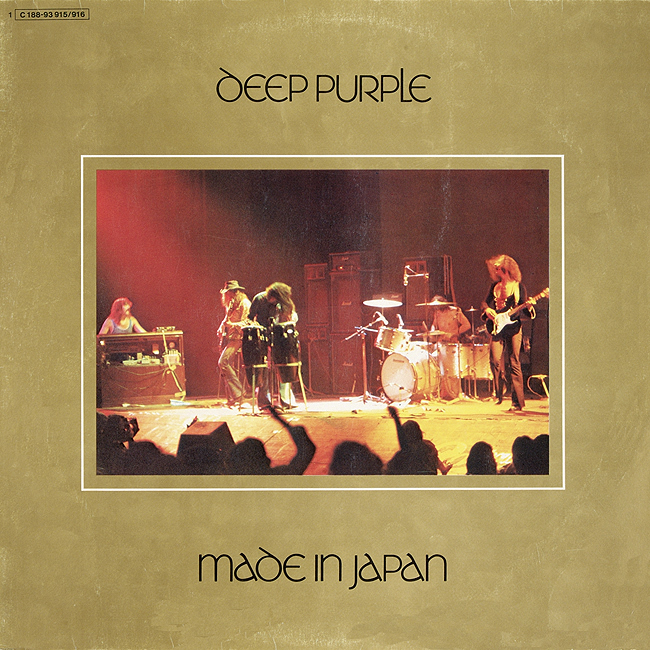 Colour shots appeared front and back (ironically both these were later to appear back in Japan on singles), whilst inside individual live shots were used in the rising sun design. The album was part of an early trend for double live rock sets and, in part to it being released at a reduced price, it sold very well. Thanks to the unique look of the sleeve (I’m struggling to think of any others which have the gold surround), it has been the inspiration for lot of look-a-likes over the years, seven of which are shown here. 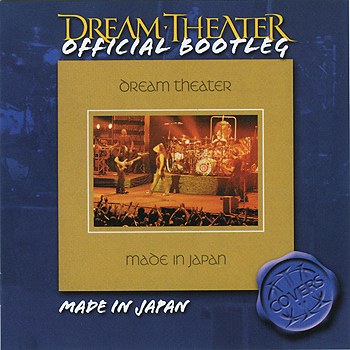 Dream Theater covered the entire album live in Japan in 2006 and not surprisingly issued it via their official bootleg series. There are a few other similar covers by the band, but I think they’re bootlegs (unofficial ones!). Others bands just copied the cover and played their own material. Die Goldenen Zitronen are a German 80s Punk band with political leanings. 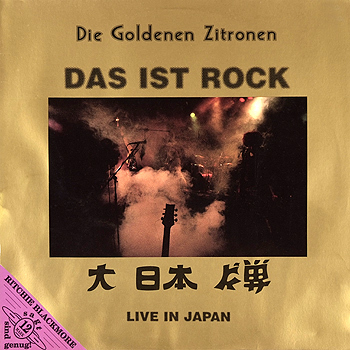 In 1988 they issued this 12″ single Das Ist Rock – Live In Japan. As you can see it actually mixes the Made In Japan and Last Concert In Tokyo sleeves together. There’s also a corner sticker which translated reads “Ritchie Blackmore says this is enough”! 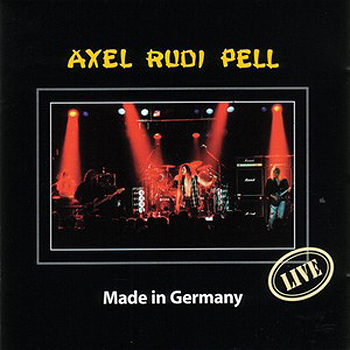 Axel Rudi Pell is well into Deep Purple, so no surprise to see him adapting the cover but for a Live In Germany CD. A big Blackmore fan, down to sometimes playing a left-handed Strat, this set was issued in 1995. 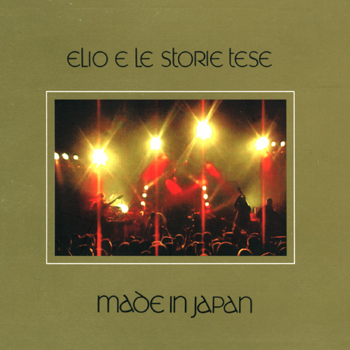 Continuing the international cover tributes, Elio e le Storie Tese hail from Italy, and cut their album at the Parco Capello – despite what the title says – and released it in 2001. It’s the closest overall to the original design. The band, formed in 1980, have covered many genres of modern music, and declare themselves to be much influenced by the work of Frank Zappa. It’s a two disc set of original material, but quite why they chose to reference Made In Japan I’m not certain. Each disc is apparently printed with an Italian title, taken from the most used phrases heard by staff at concert booking box offices! One translates as “There should be TWO tickets”, and the other is “Can you look under Fabio?”! Wonder what the Italian for “The service charge is how much?” is? Like the Italians, Swedish garage rockers The Nomads don’t actually cover any Purple tunes, but they have copied the sleeve again (albeit adding ‘recorded in Sweden’ under the original title. It was taped in 1995. 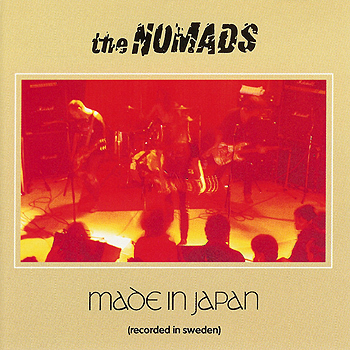 The Nomads formed in Stockholm in 1980 (and are apparently still at it), and the CD was recorded live in the Pet Sounds Bar, Stockholm by Swedish radio the year before. Roger Glover even gets a credit for design! 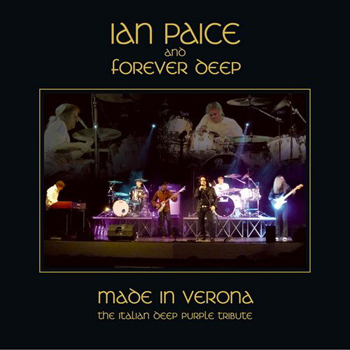 Going back to Italy, the DP tribute band Forever Deep managed to get Ian Paice to play with them and issued the results as a live set titled Made In Verona, the cover styled more after the MIJ Remastered CD edition with the reversed colours. 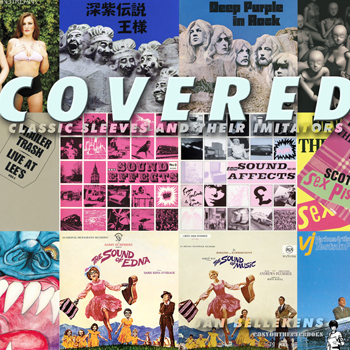 The Covered book, published in December, also looks at sleeves inspired by In Rock (as well as every band from The Allman Brothers to Zappa), and if you want to find out more, trip over to the publisher’s site at Easy On The Eye Books. There is a posting about a Concerto album cover tribute on DTB too. Have you listened to Dream Theater’s MiJ? I couldn’t believe they did it seriously…. 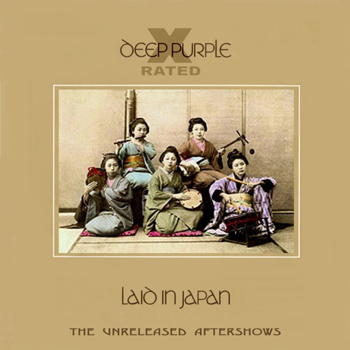 They released an under par cover version, really (very)far from the original, far from Deep Purple, far (from the) East…..
Andrea, must admit I never bothered, couldn’t see the point if it really!